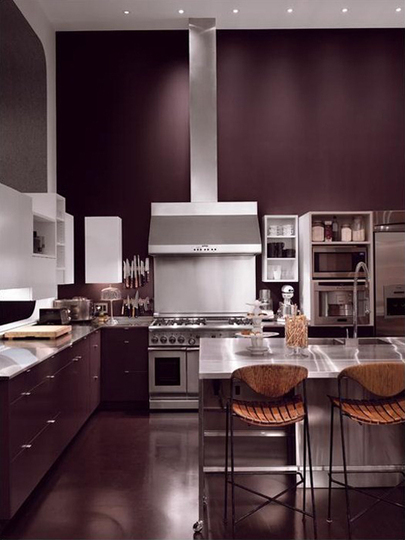 Benjamin Moore’s color designers are forecasting vintage wine as Envision Color 2011’s Color of the Year. First seen on the fashion runways of New York, Paris, and Milan, this rich hue with a deep brown base and a hint of smoky violet is just as magnificent in the home. As an undertone in many of the latest wood finishes, leathers, and other textiles, vintage wine, and its lighter variations, will make a great paint color pick for many applications over the coming years.